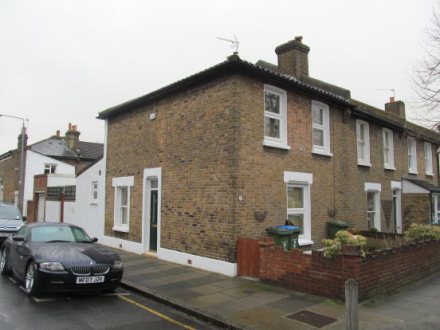 This super end of terrace house has been recently refurbished and is offered in great condition throughout.The property offers two reception rooms, a fitted kitchen, ground floor bathroom and two double bedrooms both with fitted wardrobes. There is a courtyard style garden to the rear. Keys Held. A well presented and refurbished end of terraced Victorian cottage situated in the popular rectory field's conservation area. Two receptions rooms both with a feature fireplace, fitted kitchen with white goods, two double bedrooms both with fitted wardrobes, ground floor bathroom with a modern white suite and a courtyard style garden to the rear. ENTRANCE HALL Upvc front, laminate flooring, staircase leading to first floor. LOUNGE 15' 10" x 10' (4.83m x 3.05m) Upvc double glazed window to side, iron feature fireplace, laminate flooring, radiator. 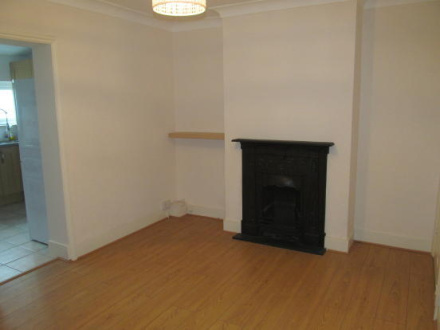 DINING ROOM 15' 3" x 9' 11" (4.65m x 3.02m) Upvc double glazed sash window to front, iron feature fireplace, radiator, laminate flooring, under stairs walk-in storage cupboard, door leading to ground floor bathroom and door to kitchen. 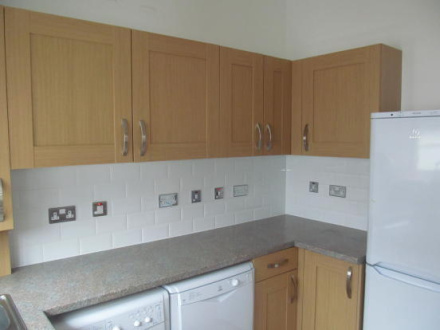 KITCHEN 9' 3" x 9' 2" (2.82m x 2.79m) Upvc double glazed window to side, oak effect matching base and wall units, 1.5 bowl stainless steel sink, built in oven, hob and hood, part tiled walls, tiled floor, washing machine, dishwasher, tumble dryer, fridge freezer, upvc part glazed door to rear garden. 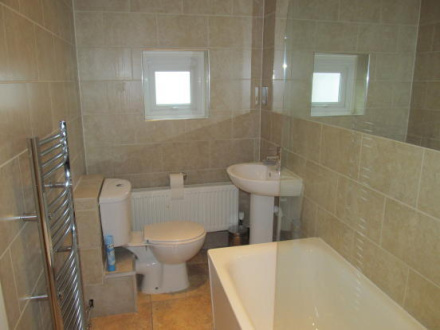 BATHROOM 9' 1" x 4' 9" (2.77m x 1.45m) Upvc double glazed frosted windows to side and front, fully tiled walls, tiled floor, white suite comprising of panelled bath with shower above, wc, pedestal hand basin, radiator, heated towel rail. BEDROOM 1 15' 8" into recess x 10' (4.78m x 3.05m) Two Upvc double glazed windows to side, fitted carpet, fitted wardrobes to one wall, built in cupboard and additional fitted cupboard to alcove, radiator. BEDROOM 2 15' 6" in to wardrobes x 10' (4.72m x 3.05m) Upvc double glazed window to side, fitted wardrobes to one wall with cupboards above, radiator, built in cupboard to alcove, radiator. OUTSIDE Rear courtyard style garden mainly paved patio with some flower borders and gate giving access to the street.